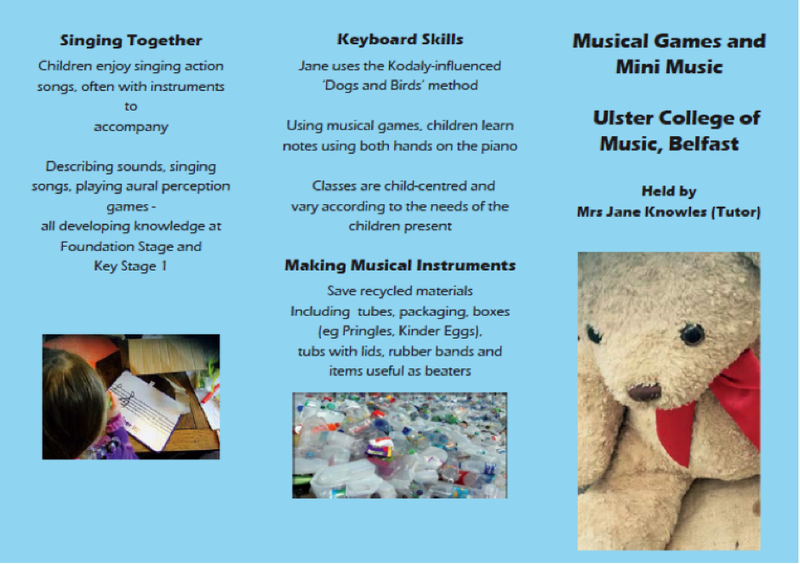 to present our Saturday morning Musical Fun Foundation Course for pre-school children and key stage 1 children. 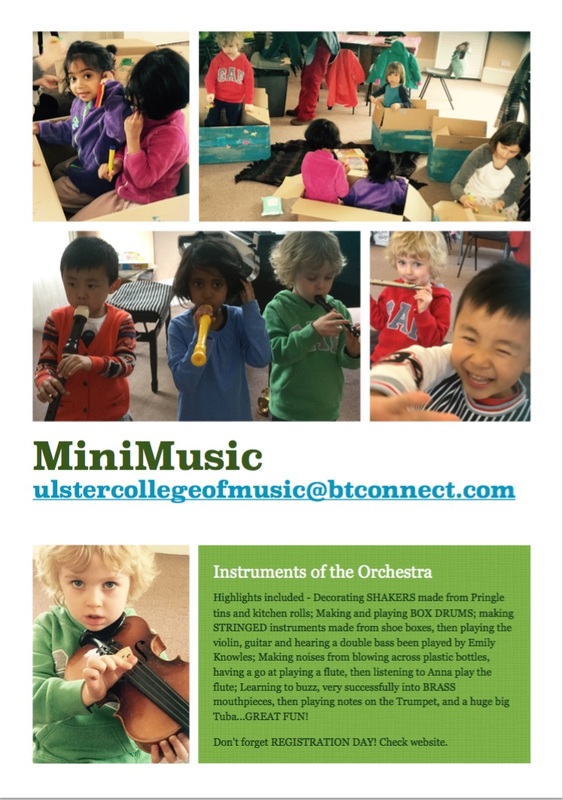 Join us at the Ulster College of Music for our 30 minute class aimed at the youngest musicians. 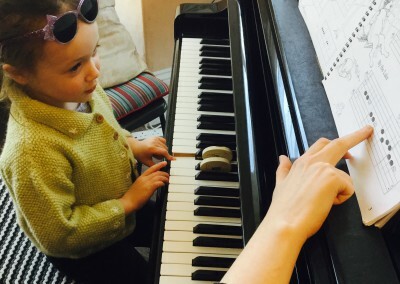 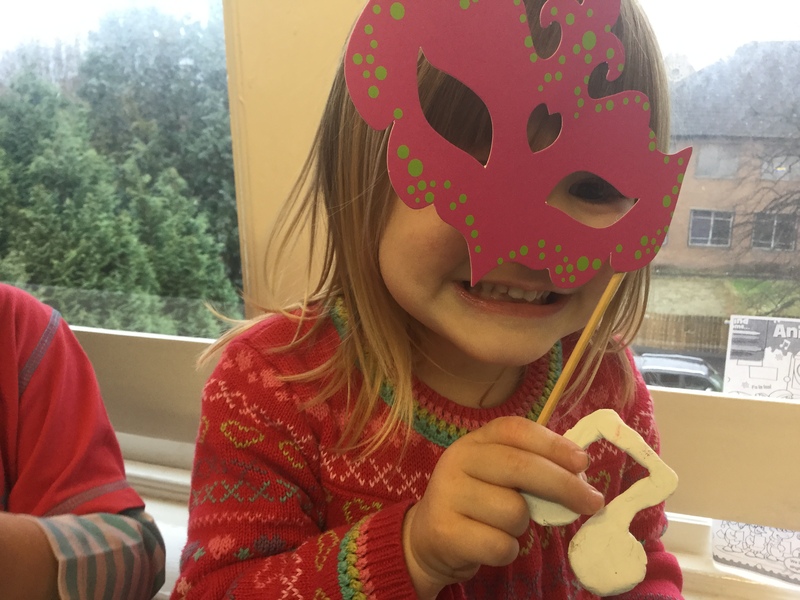 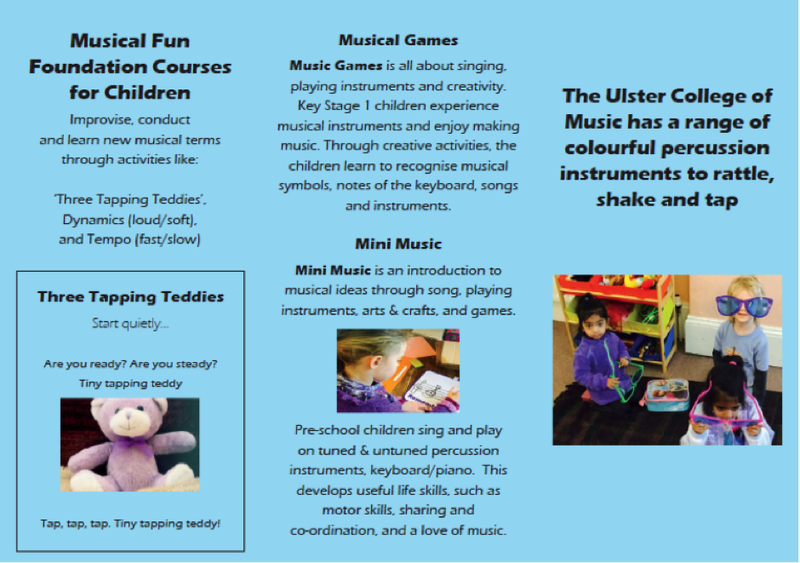 Mini Music includes singing, dancing and moving to music, instruments and sensory play. A beautiful set of baby percussion instruments, puppets and other materials are provided and there will be refreshments available. 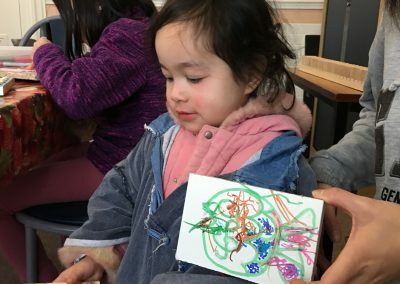 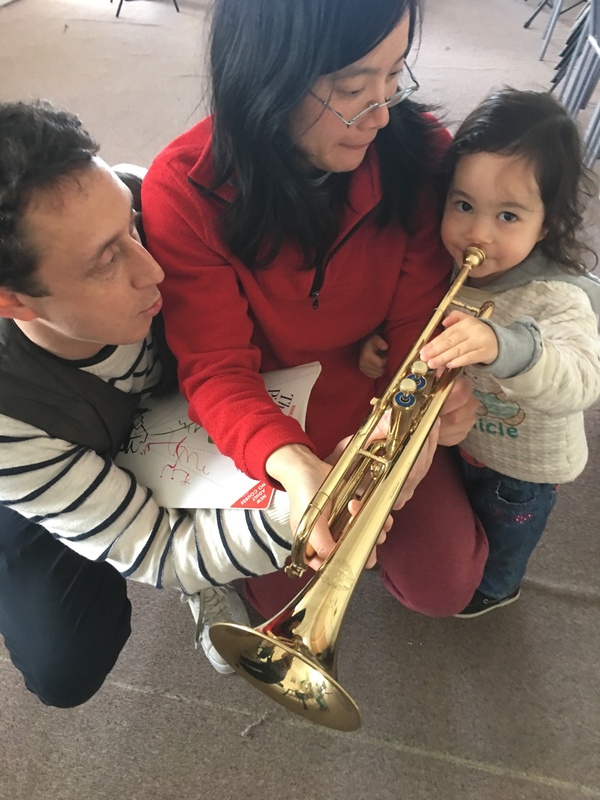 Children will enjoy spending time with other little ones, discovering rhythm and song, and exploring the world of music. 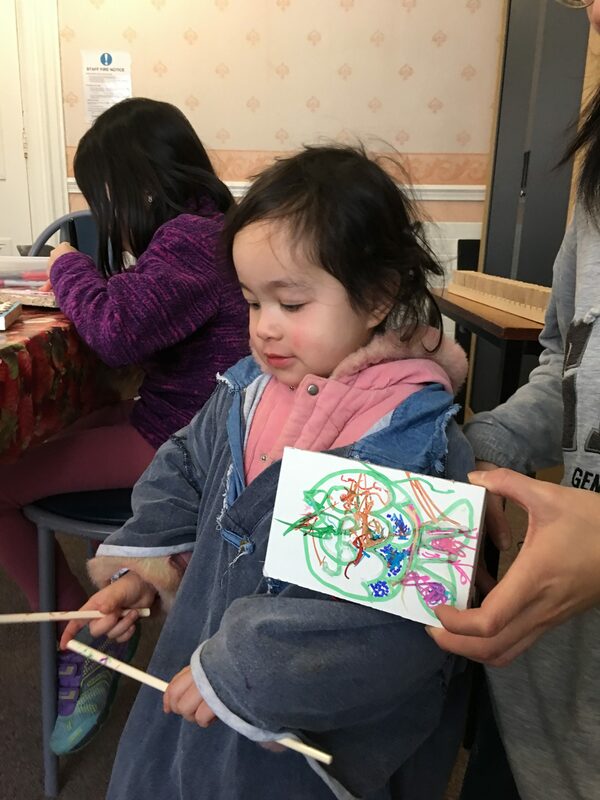 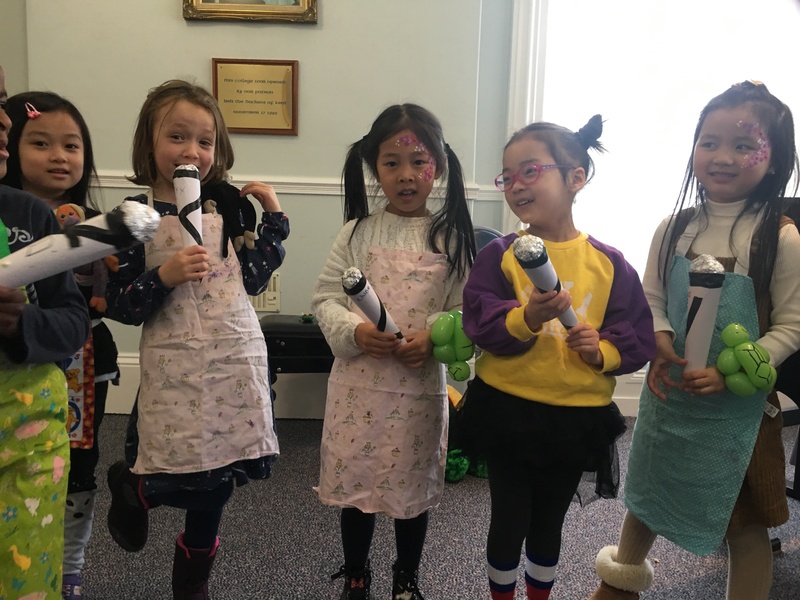 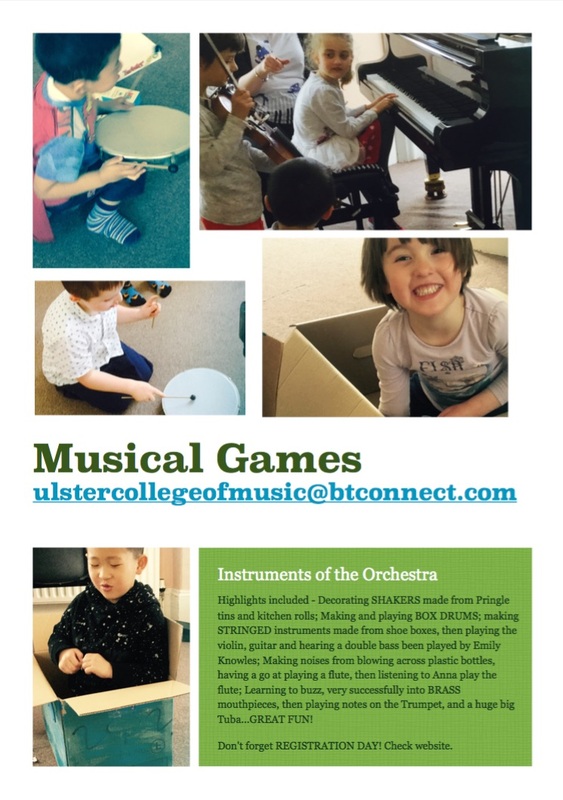 Musical Games is a fun, activity-packed 30-minute class where young students sing, dance and play using a variety of classroom percussion instruments, all the while developing their aural skills and musical awareness. 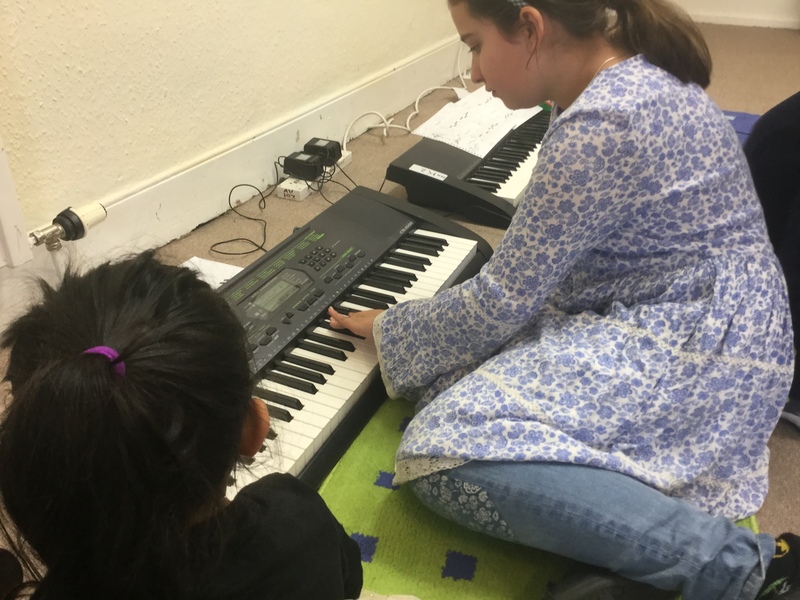 Musical Games is the traditional route into the College, naturally guiding the young student towards each new stage. 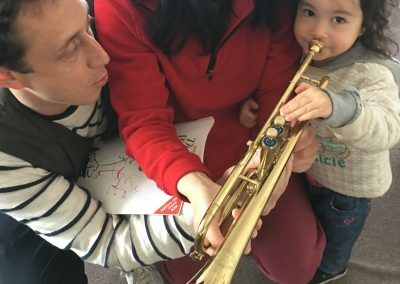 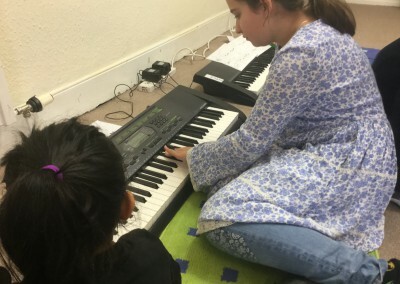 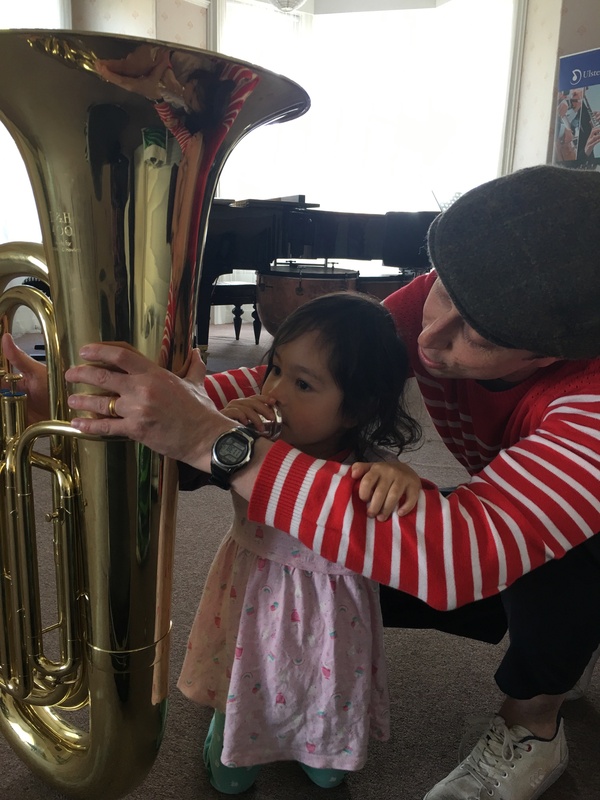 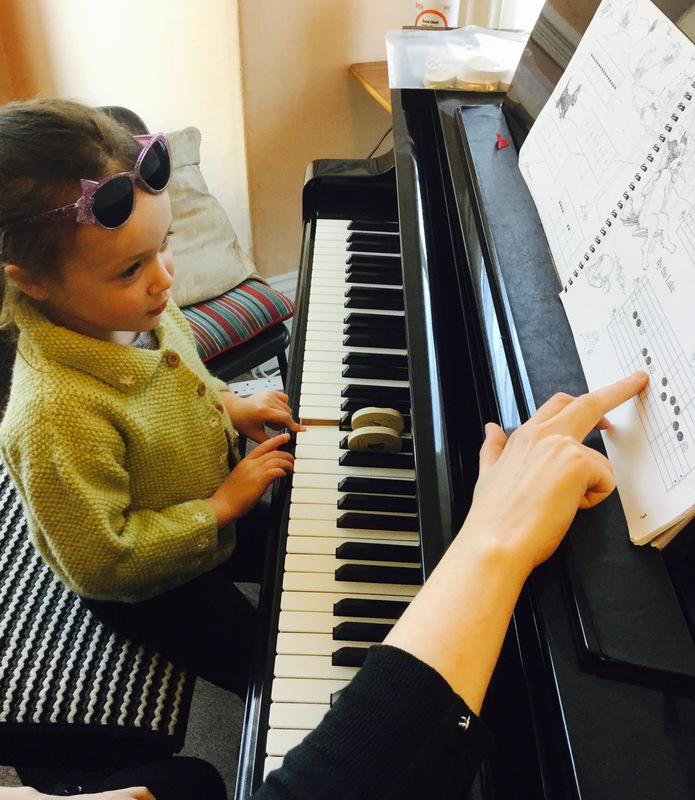 Classes are small, allowing activities to be tailored to the participants, and they provide a perfect basis to a child’s musical education. 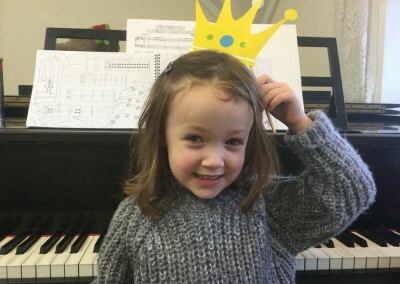 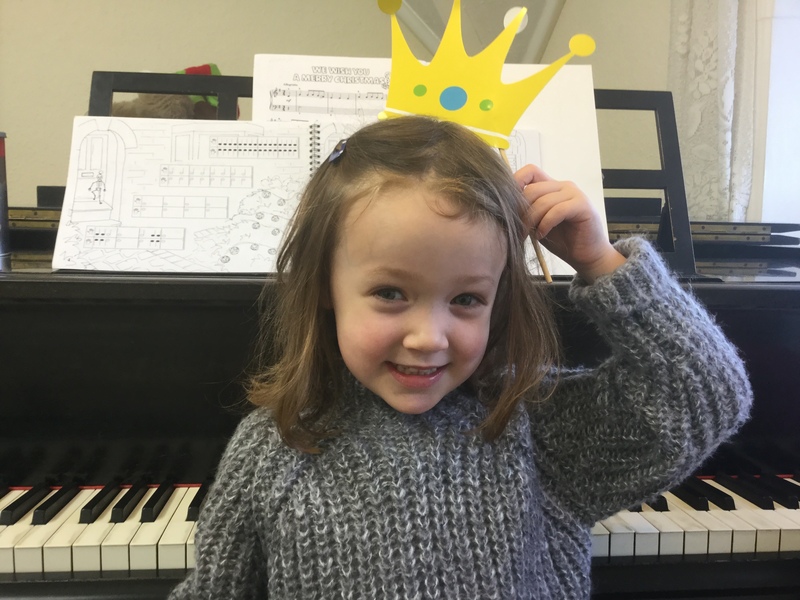 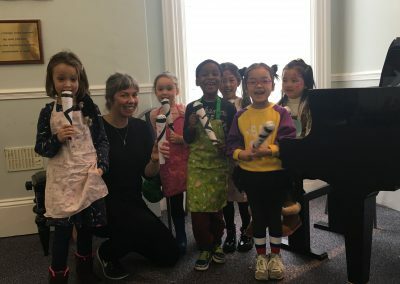 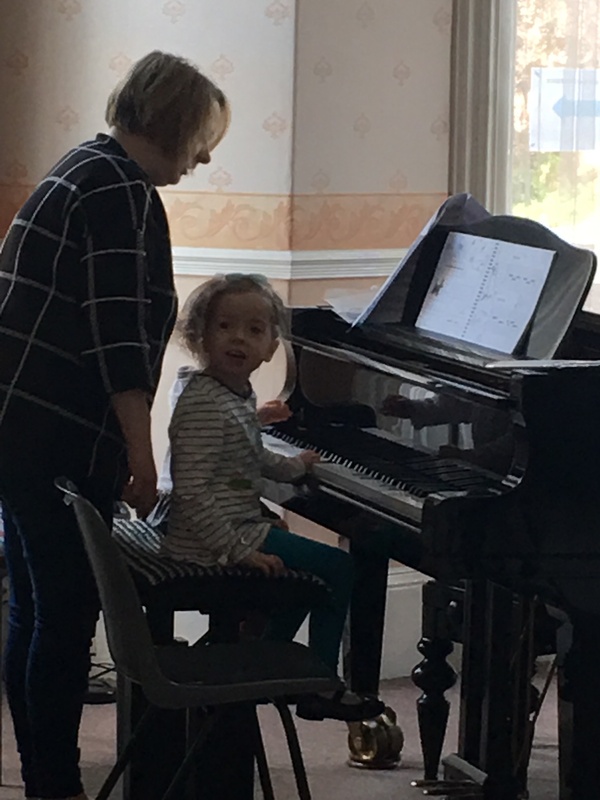 Children who are enrolled in Saturday morning Musical Games in their P1 and P2 years, may then progress seamlessly in P3 and P4 to Saturday morning Recorder classes, or enrol for individual tuition on any of the instruments which are suitable for young children. 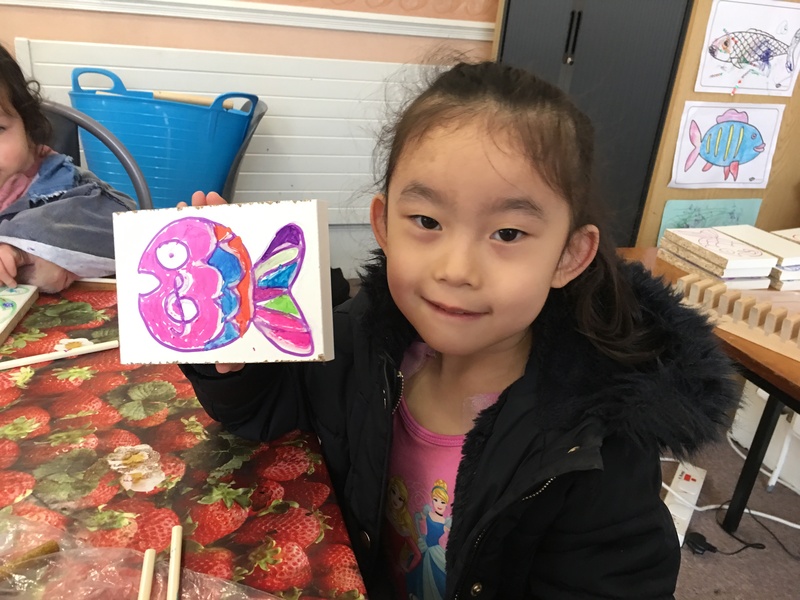 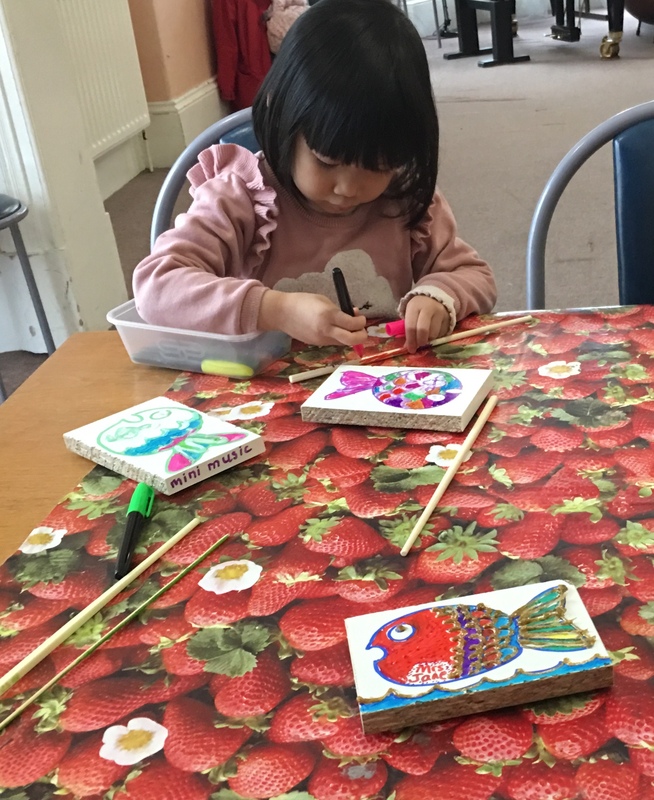 Making instruments of topic, The Sea, in Foundation Music classes this term (January – March) with tutor, Mrs Jane Knowles.Here’s are some examples of Guiros, a scraper, normally made from wood, and in a fish shape. 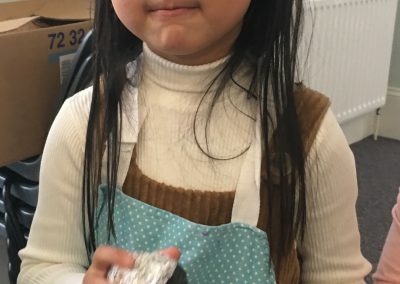 We used recycled hot water bottles to form ridges on the back, and using a glue gun, made ridges on the front. 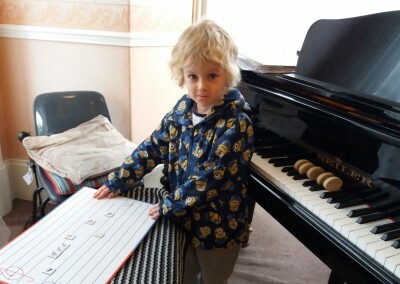 Expert colouring in, and music making. 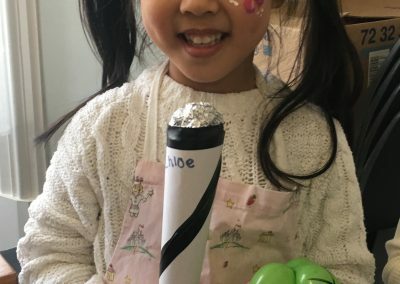 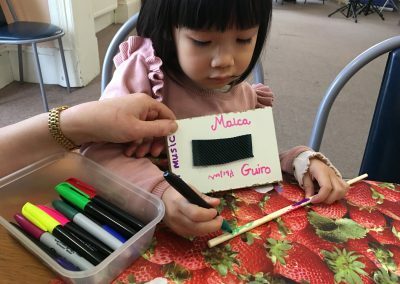 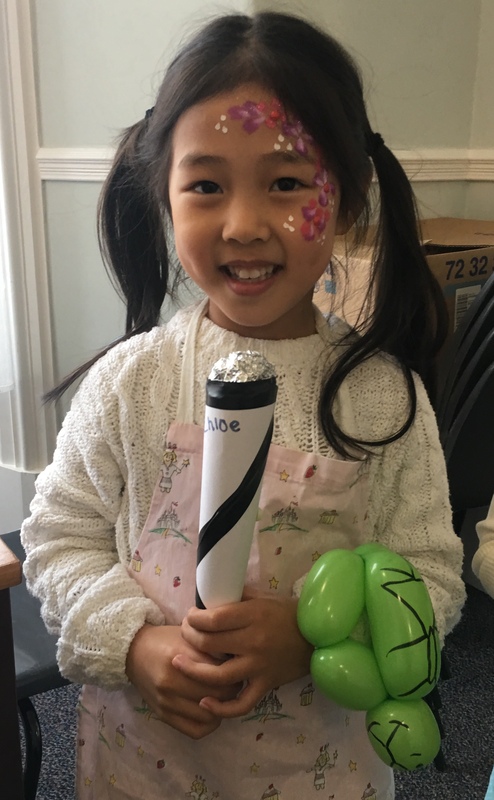 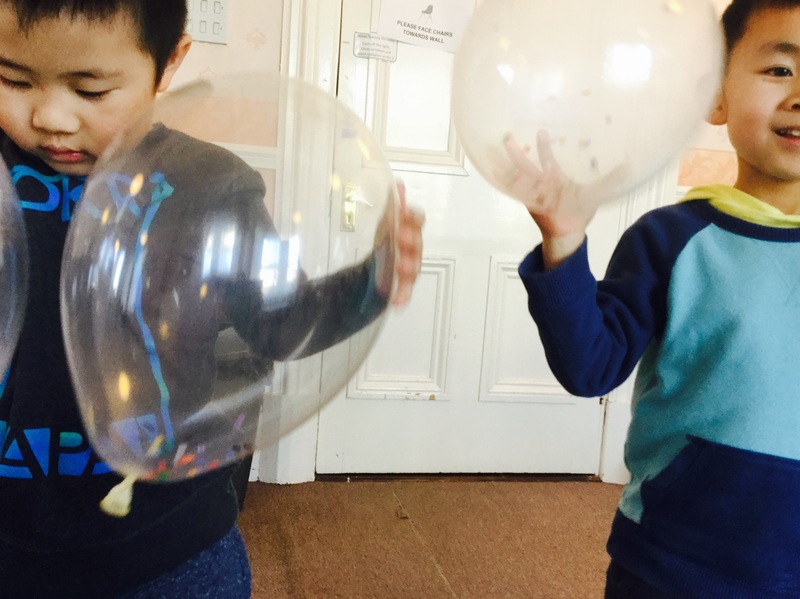 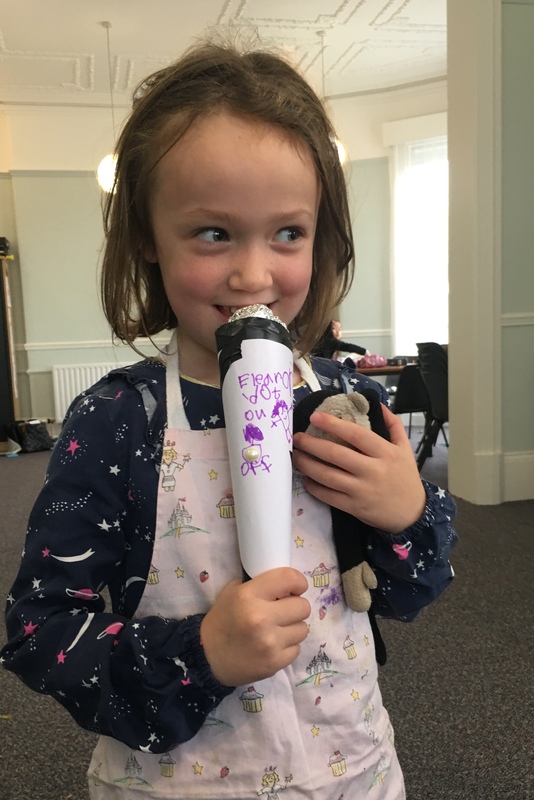 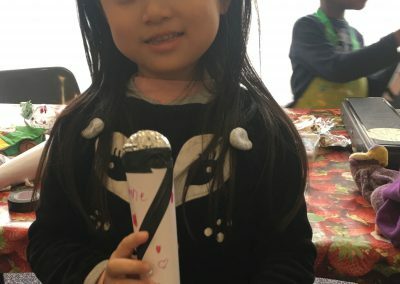 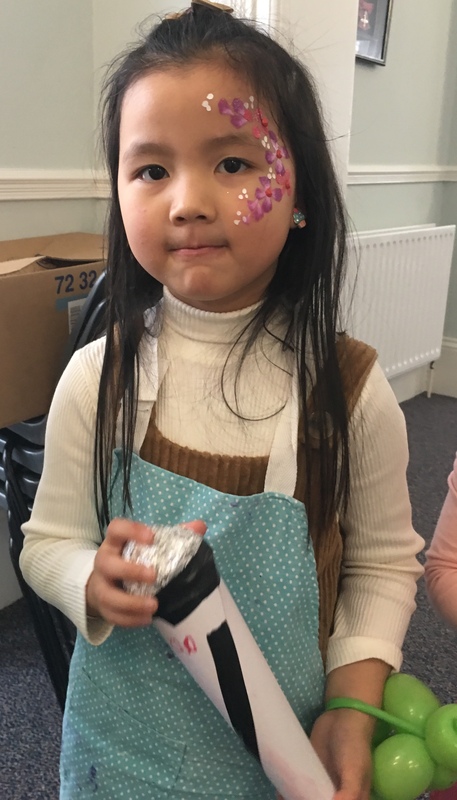 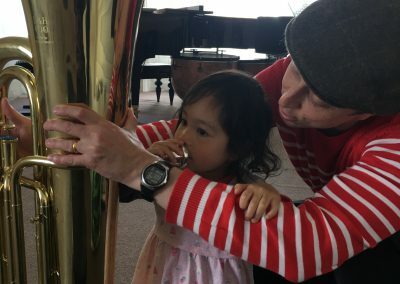 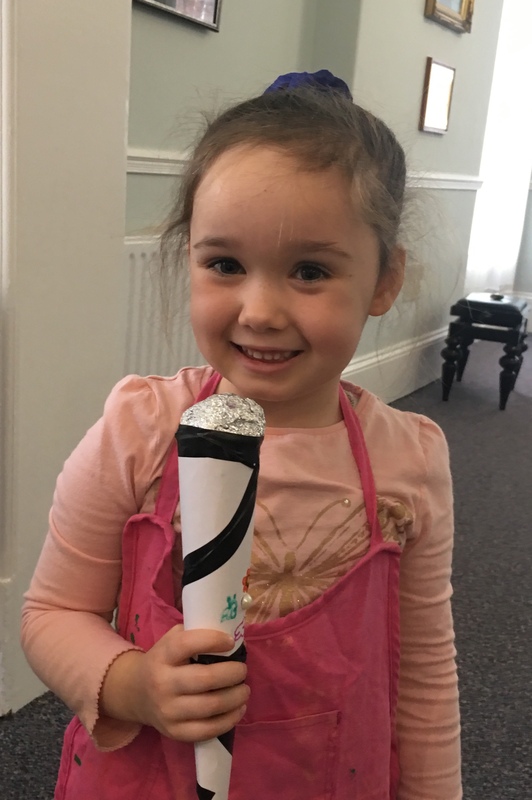 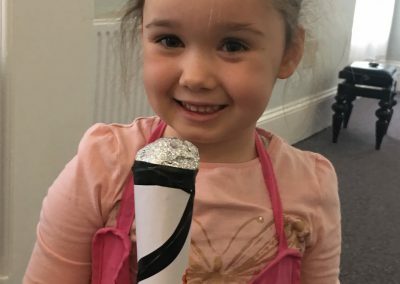 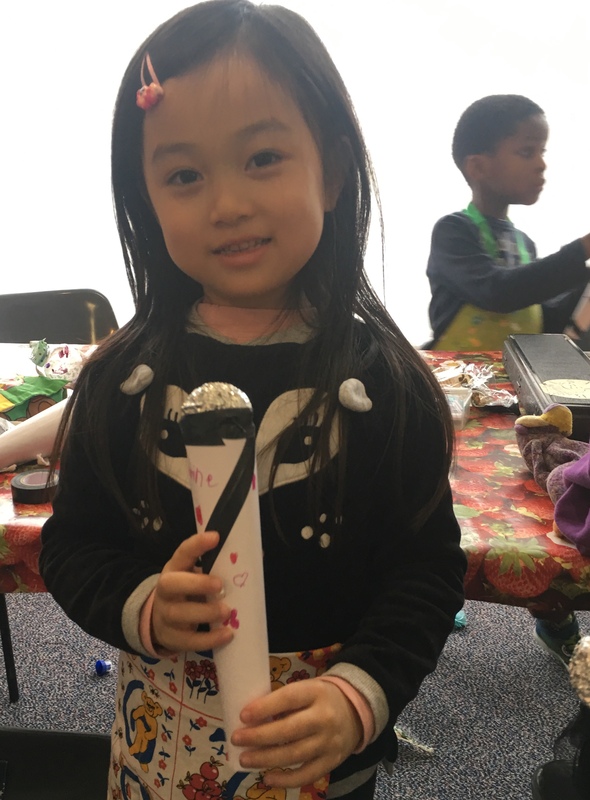 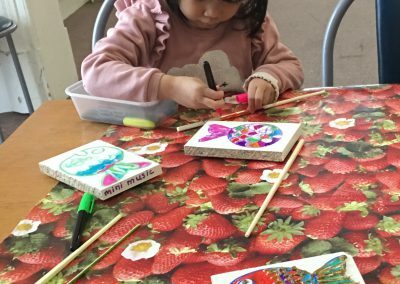 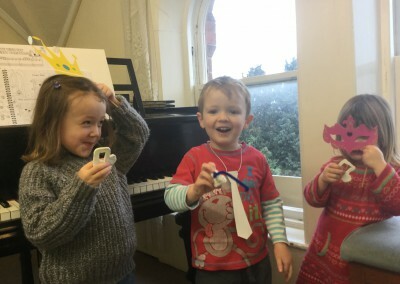 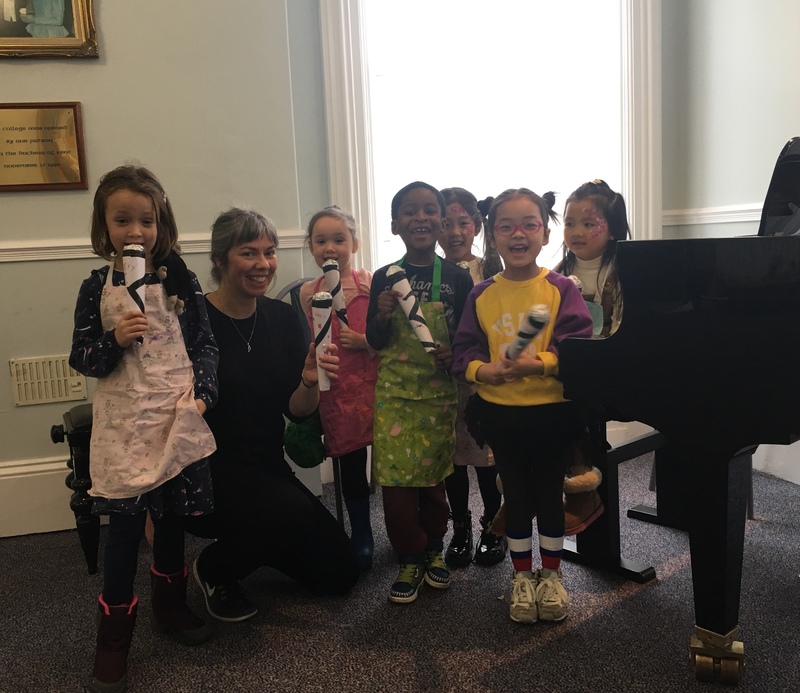 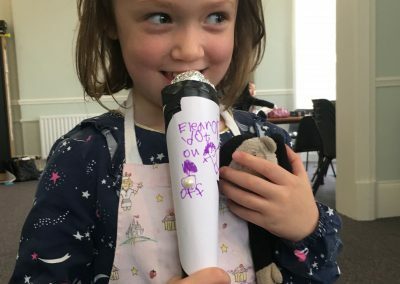 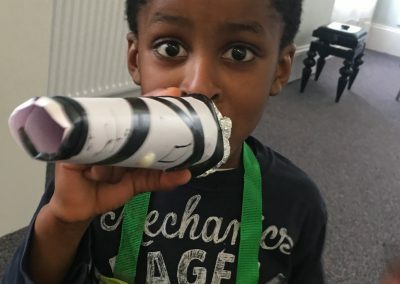 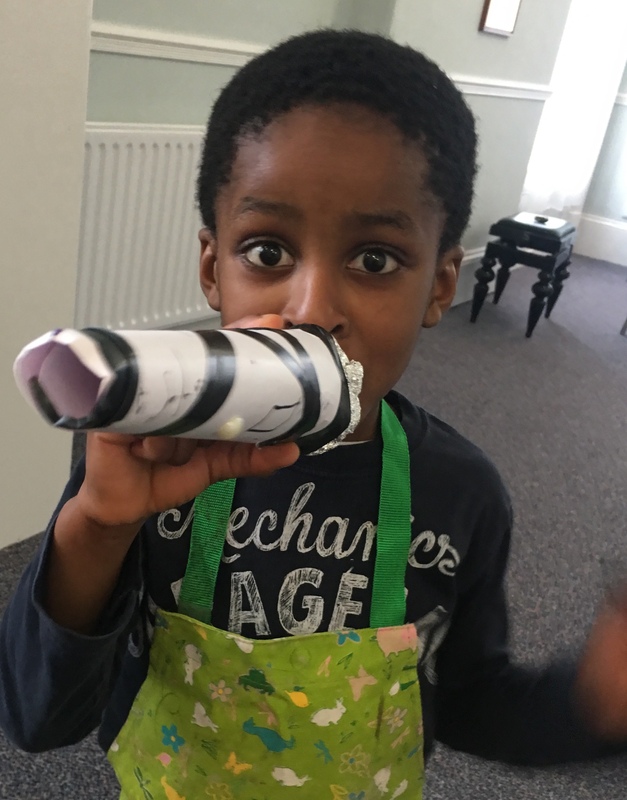 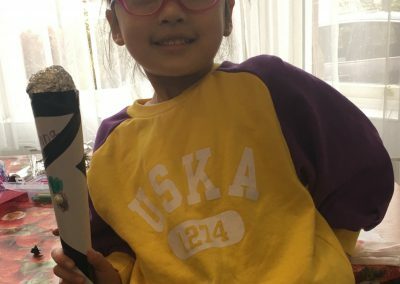 Other instruments made in this topic include Shakers: learning about high, low, loud and soft sounds; Wind instruments: blowing over decorated bottles, just like playing a flute; and Kazoo: decorating home made Kazoos and replicating dolphin sounds.Next term’s topic is Spring, in Foundation Music. 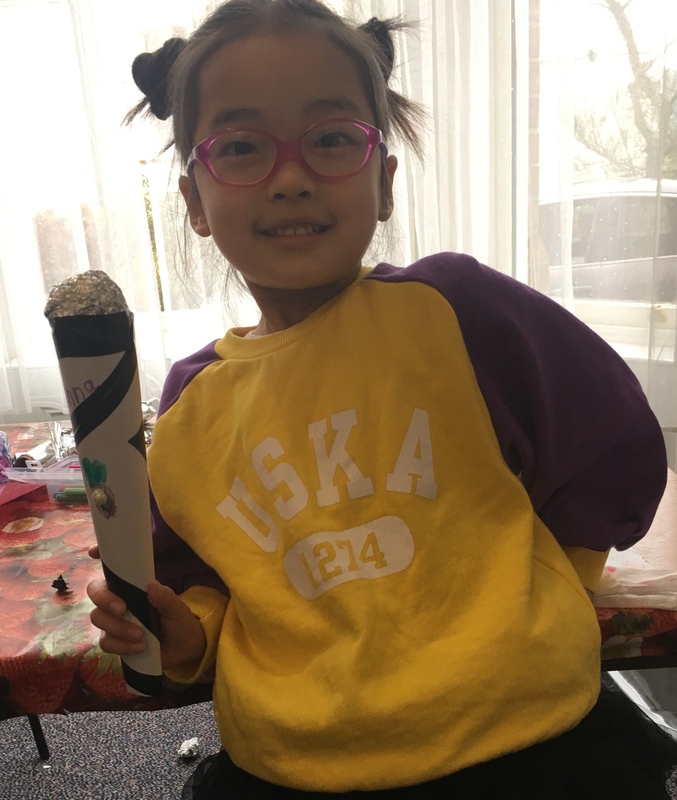 Keep an eye on the bugs and bulbs growing in the garden at UCM. 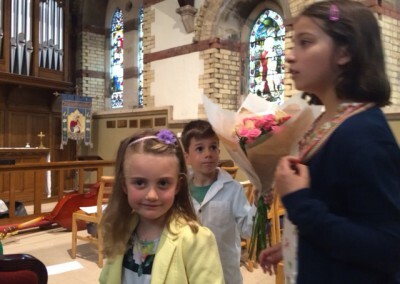 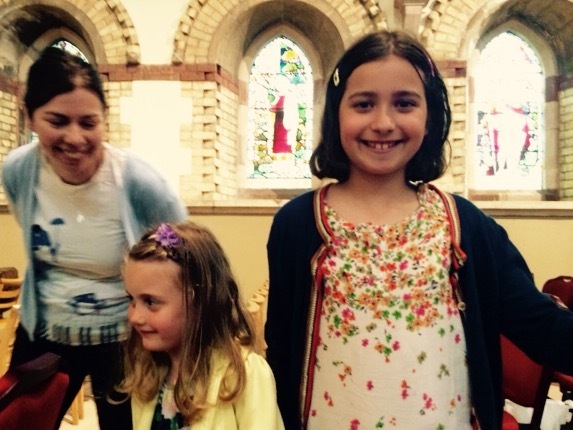 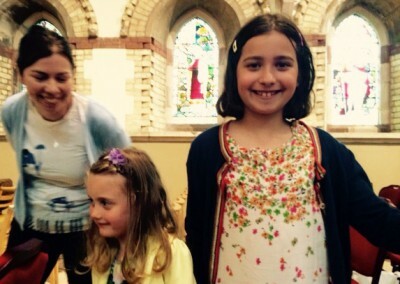 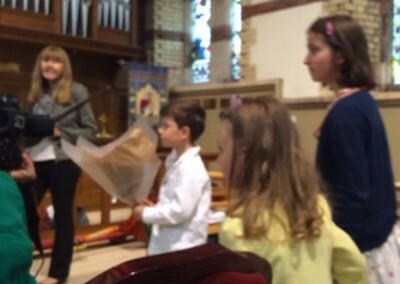 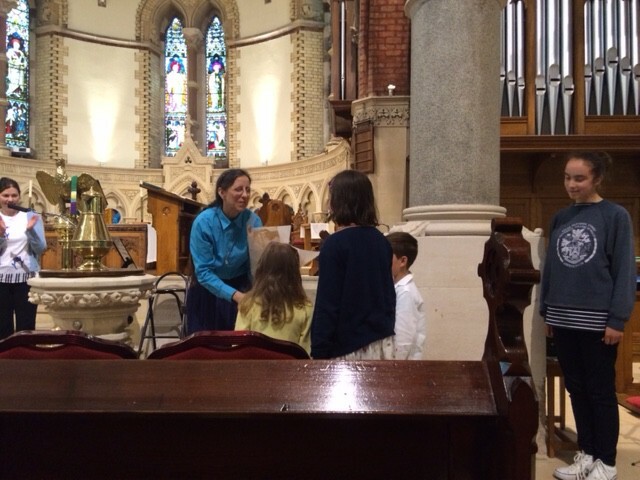 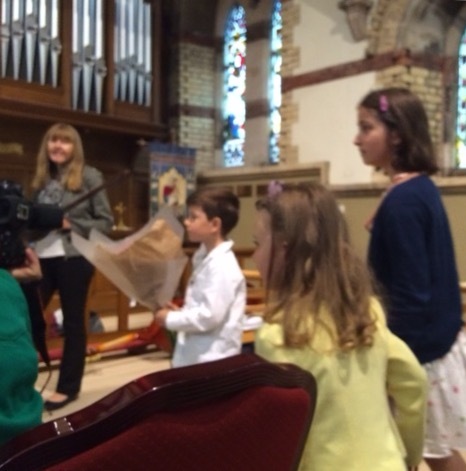 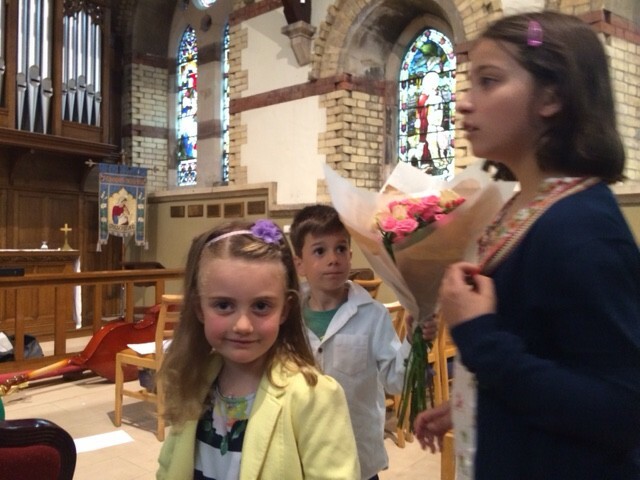 The kids presenting the flowers are Alessia and David, accompanied by Anna Knowles. 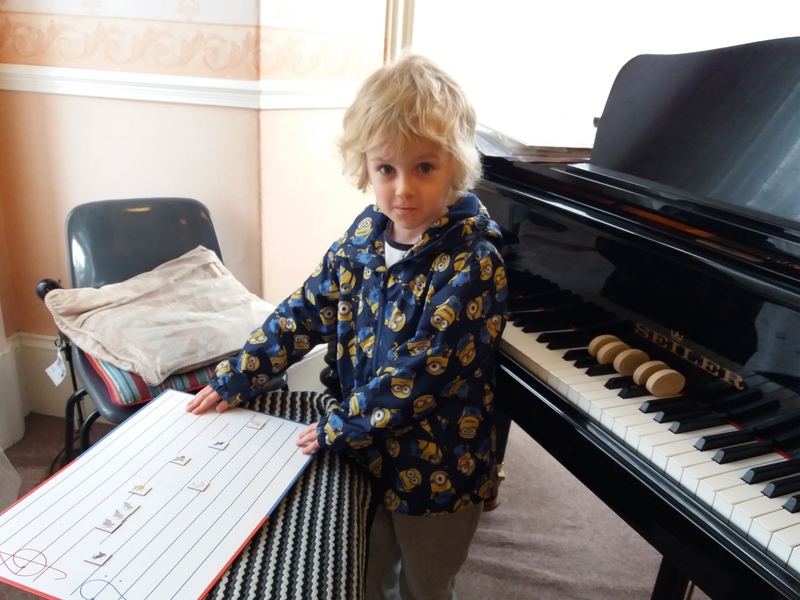 David and Alessia are on moving onto to recorder lessons with Miss Kerr In September. 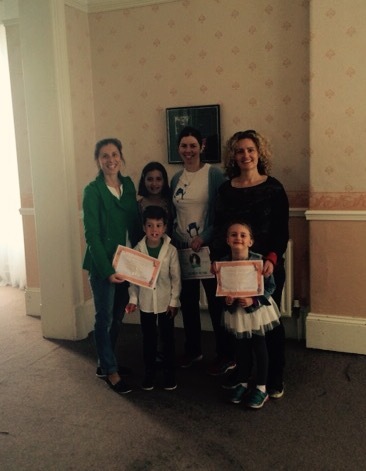 The group picture is of Presentation of Certificates in my class, 18th June, accompanied by the pupils parents. 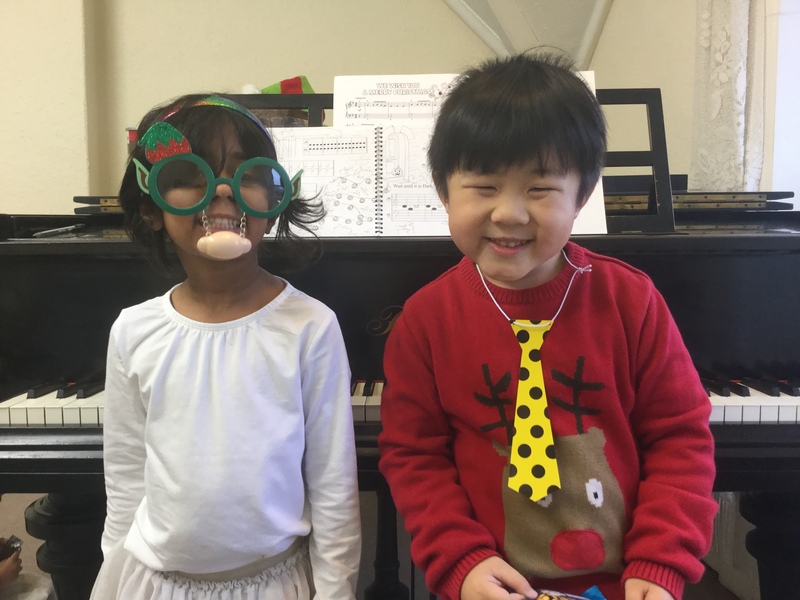 Many thanks for the continuing support given by parents this year. 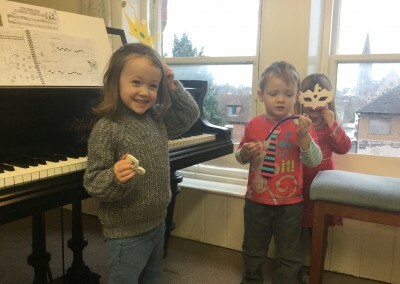 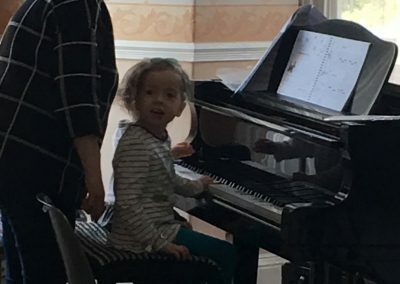 The kids include Ronan, chuffed with his music (Musical Games ‘Dogs and Birds’ composition); Eleanor playing the piano (Mini Music ‘Dogs and Birds’ composition) and Jayden and Eric making rain sounds (Musical Games ‘The Storm’ composition) .